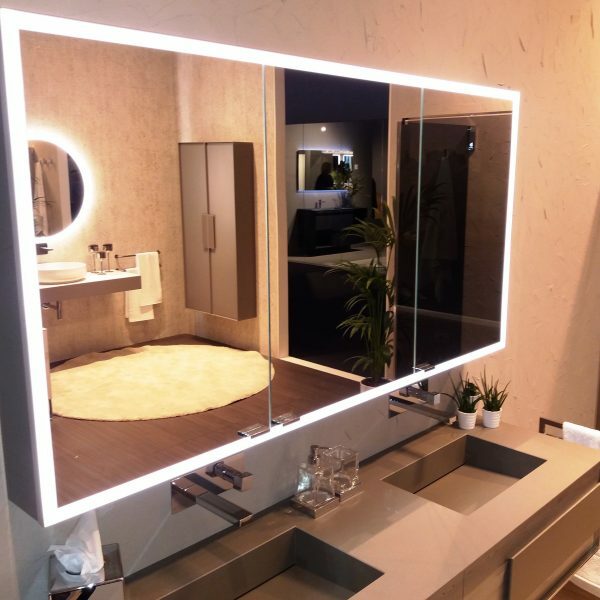 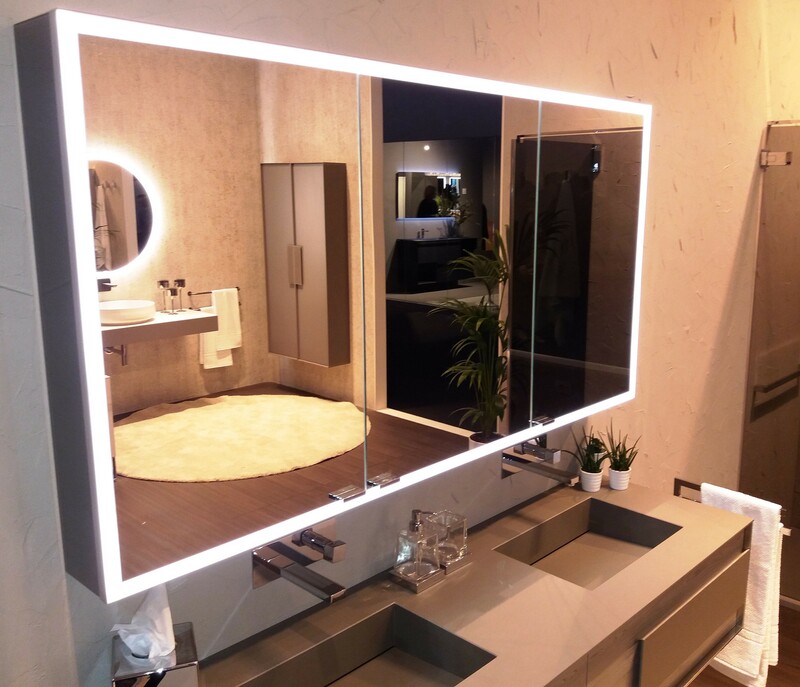 This beautiful bathroom cabinet was exhibited in Milan at the Salone del Mobile Milano 2018. 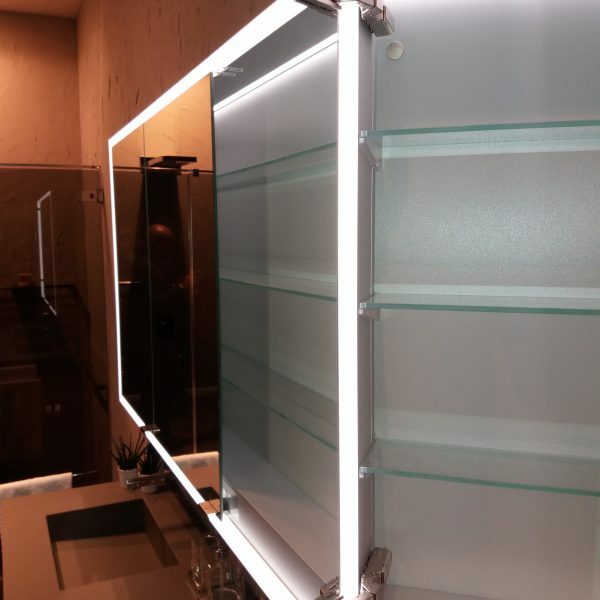 The mirror doors are moved by GRASS Tiomos Mirro Soft-Close hinges. 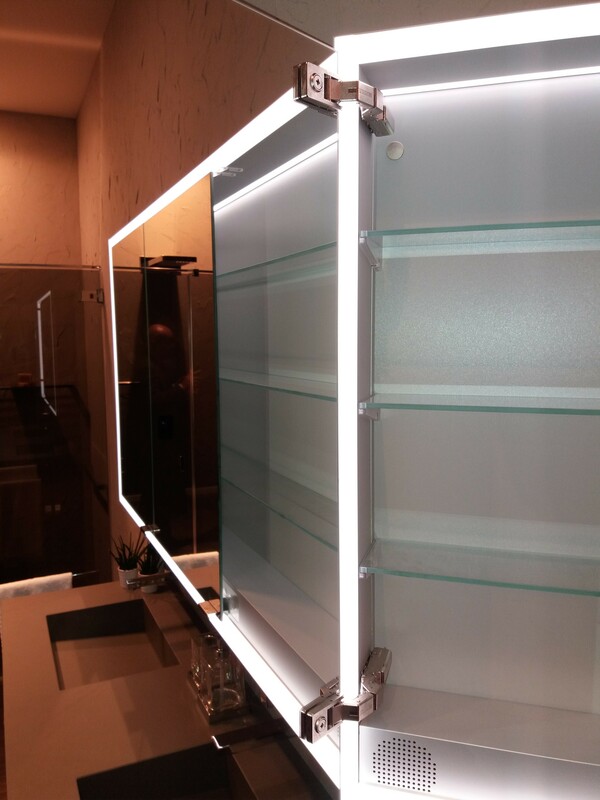 The mounting plates of the hinges are glued on the surface of the mirror.